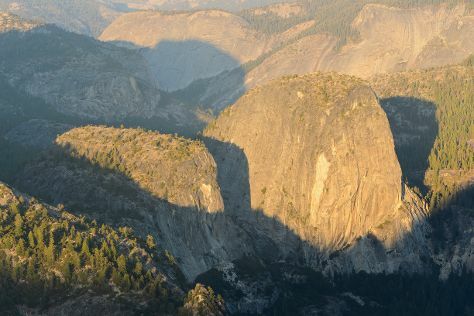 On the 12th (Fri), trek along Panorama Trail and then take in the dramatic natural features at Glacier Point. Keep things going the next day: explore the striking landscape at Lembert Dome and then stroll through Tuolumne Meadows. To see ratings, traveler tips, and tourist information, refer to the Yosemite National Park trip builder website . Denver to Yosemite National Park is an approximately 5.5-hour combination of train, flight, and car. You can also do a combination of train, flight, bus, and taxi; or drive. Due to the time zone difference, you'll gain 1 hour traveling from Denver to Yosemite National Park. Traveling from Denver in July, Yosemite National Park is a bit cooler at night with lows of 46°F. Finish your sightseeing early on the 13th (Sat) to allow enough time to drive to San Francisco. On the 14th (Sun), take a leisurely stroll along Fisherman's Wharf, then head off the coast to Alcatraz Island, and then take in the views from Golden Gate Bridge. To find photos, traveler tips, reviews, and other tourist information, go to the San Francisco trip itinerary builder site . You can drive from Yosemite National Park to San Francisco in 4 hours. Alternatively, you can take a bus; or do a combination of taxi, bus, flight, and subway. When traveling from Yosemite National Park in July, plan for slightly colder days in San Francisco, with highs around 73°F, while nights are somewhat warmer with lows around 57°F. Finish your sightseeing early on the 14th (Sun) to allow enough time to travel to Grand Canyon National Park. On the 15th (Mon), hike the day away at Bright Angel Trail. There's still lots to do: take in breathtaking views at Grand Canyon South Rim, take some stellar pictures from Lipan Point, hike along North Kaibab Trail, and admire all the interesting features of East Rim Drive. To see maps, more things to do, and other tourist information, use the Grand Canyon National Park trip itinerary planner. Traveling by combination of flight and bus from San Francisco to Grand Canyon National Park takes 9 hours. Alternatively, you can do a combination of subway, flight, and bus; or drive. You'll lose 1 hour traveling from San Francisco to Grand Canyon National Park due to the time zone difference. When traveling from San Francisco in July, plan for somewhat warmer days in Grand Canyon National Park, with highs around 84°F, while nights are slightly colder with lows around 52°F. Finish your sightseeing early on the 17th (Wed) to allow enough time to travel to New York City. Start off your visit on the 18th (Thu): admire the masterpieces at The Metropolitan Museum of Art and then enjoy breathtaking views from Empire State Building. Get ready for a full day of sightseeing on the next day: go for a walk through Central Park and then appreciate the history behind 9/11 Memorial. To see photos, ratings, reviews, and other tourist information, read our New York City trip itinerary builder app . Traveling by combination of bus and flight from Grand Canyon National Park to New York City takes 13 hours. Alternatively, you can do a combination of bus and flight; or drive. Traveling from Grand Canyon National Park to New York City, you'll lose 2 hours due to the time zone difference. Traveling from Grand Canyon National Park in July, plan for somewhat warmer nights in New York City, with lows around 72°F. Finish up your sightseeing early on the 19th (Fri) so you can travel back home.